At one point in time, facial hair was something men tried to avoid. However, style and fashion have evolved drastically over time. Today, beards are a hipster fad that has crossed over to the mainstream. Facial hair can say a lot about a man. Beards give guys that masculine and rugged edge they need to avoid looking like a prepubescent boy. That being said, simply not shaving and letting your facial hair grow out isn’t enough to please the ladies. In reality, an unkempt beard can be a huge turn-off for women. Beards tend to be uncomfortable by nature. Facial hair is a lot different than the hair on your head. It is dry, prickly, and usually riddled with split ends. To women, a straggly beard shows that you don’t take care of yourself. Not only that, but scruffy beard can feel like sandpaper on a woman’s delicate skin. Guys should take the time to tame their beard. While it may seem like extra time to get ready in the morning, a tame beard is irresistible to women. Guys with tidy beards look more put together. Women will also appreciate the extra effort you took to make your beard soft and kissable. Here are a few tips to soften your beard for your lady. You shampoo your hair to keep it clean, so why not your beard? Beards can get pretty disgusting if not cleaned regularly. Oil from the face can easily collect in the hairs. 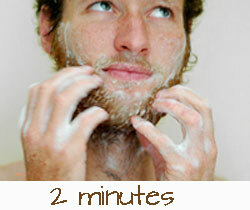 It is important for guys to shampoo their beards at least twice a week to keep it clean and shiny. This can be done in the shower or by the sink. The shampoo should be massaged into the beard with the fingers to ensure that the product saturates the hair. After leaving it in for a few minutes, it can be rinsed off with some warm water. While it may be easier to use a normal shampoo on your beard, it is recommended to get a shampoo specially formulated for beards. A high-quality beard shampoo is specifically designed for facial hair. Tame the Beast beard, hair, and body shampoo is a great option. It is designed to thoroughly wash your beard while keeping the rest of your body clean as well. It also has a musky, masculine scent that will surely attract the ladies. Beard conditioners are a product that will give your facial hair a much-needed kick of moisture. Beard conditioners usually contain a number of moisturizing ingredients that will soak into the hair and remove that stubborn prickly feeling. This includes soothing oils and waxes. Conditioners should be used after beard shampoos to replace the oil that was removed prior. Beard Balm for the modern gentleman is an excellent conditioner that contains nourishing ingredients. It has essential oils, shea butter, beeswax, and natural oils to penetrate the hair and leave it soft. It also has an outdoorsy scent of eucalyptus that is attractive, yet manly. Beard oil is an all around great maintenance product. Not only does it give your facial hair a boost of moisture, but it will also help the hair grow better. It will help avoid knots and split ends that end up scratching women. Beard oil can be applied whenever the beard needs some attention. It can be used as a deodorizer of sorts while also taming it. Oils are a product that is growing in popularity, leaving many options to choose from. More and more men are discovering their benefits. Beard Oil and Conditioner is a classy option for any man. It is fragrance-free and comes in a glass bottle with a dropper to ensure that none goes to waste. 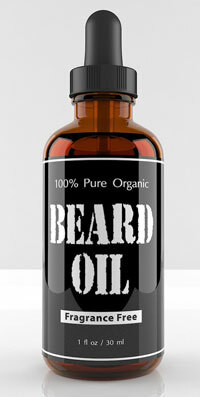 The oil soaks into the hair fast, leaving your beard kissably soft. Shaving the beard is an important part of beard maintenance. It is important for guys to keep the beard at a good length while maintaining its shape. 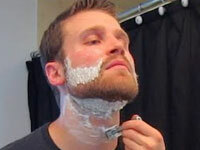 Before shaving, it is a good idea to apply a bit of oil, conditioner, or cream to the beard. This will soften the hairs so that the razor doesn’t snag. Also, it is important for guys to invest in a high-quality safety razor. Safety razors are a more refined and effective alternative to disposable razors. They will keep your skin safe and soft while slicing through the hair with ease. Bristle brushes can also help with the shaving process by lifting hairs and evenly disbursing any creams you may use. In short, having a polished and tamed beard will get you compliments and please your lady. After all, isn’t impressing your woman the end goal? In the end, she will love the attention to detail that makes your beard soft and kissable. Gone are the days of embarrassing issues like scratches and pricks. Not only will kisses be better, but your life between the sheets will improve as well. She’ll love how soft your beard is all over her body.